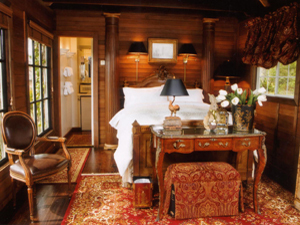 Are you looking for the perfect romantic hideaway for two? 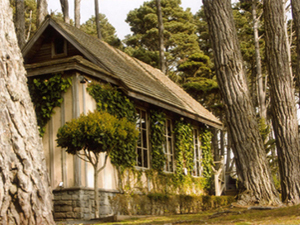 Then LeFaux is your destination, set amongst pine trees on six acres of wooded bluff with ocean views from almost every angle. This unique cottage takes its name for the faux finish on the exterior that makes it look like it was transported directly from 17th century Europe. The furnishings are European antiques or faithful reproductions. Given its limited space, no amenity has been overlooked. 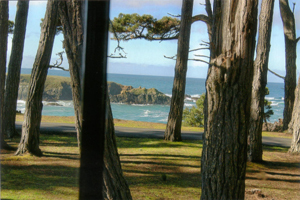 Low nightly rates plus Mendocino County Bed Tax. A free bottle of wine is included!